Residents were able to voice their concerns regarding the city’s parking in commercial and residential areas during a joint parking workshop on Monday, May 15. 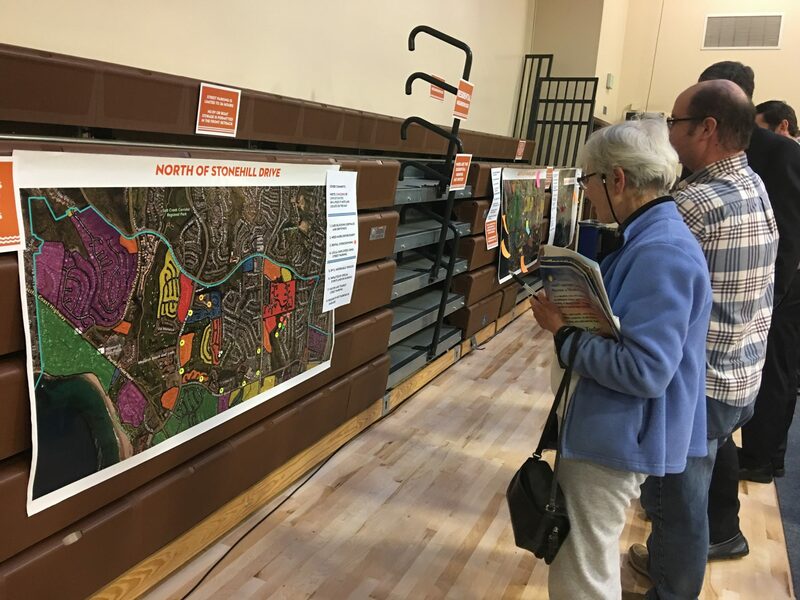 Stations were set up inside the Dana Point Community Center where residents and business owners could mark where they believed the problem areas exist and share possible solutions. The City Council voted in favor of hiring Richard Wilson Transportation Consultant to facilitate the joint study session with the Council and Planning Commission to discuss parking. Prior to the workshop, Wilson met with Council members and Planning Commissioners to solicit their viewpoints and concerns relating to parking and gained an understanding of their desired goals and objectives. Earlier this month, the city created an online survey that asks a variety of questions concerning parking and enforcement. “There’s an agreement that the solutions have to fit Dana Point,” Wilson said. Wilson will prepare a report summarizing the issues and concerns raised during the briefings and workshops which will be brought to Planning Commission. Commissioners will then have an opportunity to comment and make recommendations before the report is presented to City Council. Director of Community Development Ursula Luna-Reynosa said this could occur in June, but a definite date has not been set. The survey will be open until the end of the month. To take the survey, click here.